A range of gentle & effective cleansers, toners masks and scrubs using highly natural formulas to refresh the complexion. Soothing hydration rich in organic grape water and anti-oxidant ingredients. Ideal for dry and sensitive skin. A natural, simple and effective solution for combination to oily skin. Reduces blemishes and shine, refine pores and reveal a renewed, glowing complexion! Protect your skin against late nights, pollution, stress and other free radical damage caused by a busy lifestyle, for long lasting youth! Treat dark spots, blemishes and dull skin with our best-selling Vinoperfect collection, for skin that naturally glows! Gift a loved one with luxurious skin care and body care sets and a selection of indulgent, spa-inspired gifts from Caudalie. 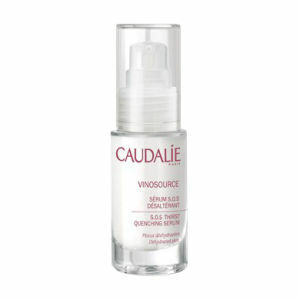 The story of Caudalie began back in 1993 in Bordeaux, France by Dr Vercauteren in Caudalie's Bordeaux Vineyard, and was first used in pharmacies in the region, with two face creams and nutritional supplements based on grape-seed Polyphenols being sold on the shelves. 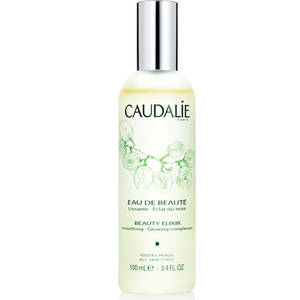 Today, Caudalie has experienced worldwide skincare success, and now boasts an array of innovative products within the range. All of the skincare brand's products include innovative and patented molecules, and its' formulas are constantly being improved by including the latest scientific advances to guarantee optimum effectiveness. Ingredients include nourishing grape-seed oil, vinolevure, polyphenols, vine resveratrol, viniferine and organic grape water, helping you achieve amazing skincare results.